Fuel Card Services has launched its latest product, Tele-Gence, that aims to save fleets money and offer a fully scalable range of services, customisable and bespoke telematics options. 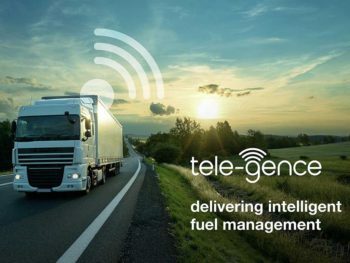 The company says that Tele-Gence immediately reduces costs and adds value to any business, and has been shown to improve fleet MPG by up to 20%. Pros include full access to fuel data, with accurate MPG reporting that the company says can reduce or eliminate fuel fraud. Tele-Gence is also claimed to track expenses, vehicle maintenance and streamlines the fleet management processes. In addition, customers can access the data from anywhere, and support is provided from a UK-based customer service team. Tele-Gence is said to be suitable for cars, vans, LCVs and HGVs.